At a press conference in New York City, Amazon CEO Jeff Bezos debuted the company's e-book dubbed Kindle. Smaller and thinner than previous e-book attempts, the most noteworthy thing about Amazon's device is that it includes free wireless access via the cellular data standard known as EVDO so that owners can download books, magazines, and–yes–blogs, directly to the Kindle. It's an interesting model for high-speed (or relatively high-speed) data service: don't charge a monthly fee, just charge for the content (hello, AT&T and Verizon, are you listening?). This is an approach that could work, even if the Kindle isn't ultimately successful. One high point of the press conference: "The best encyclopedia is Wikipedia," said Bezos. And he wasn't joking. Honest, didn't even crack a smile. And we wonder why all those college papers have such egregious errors of fact in them…. 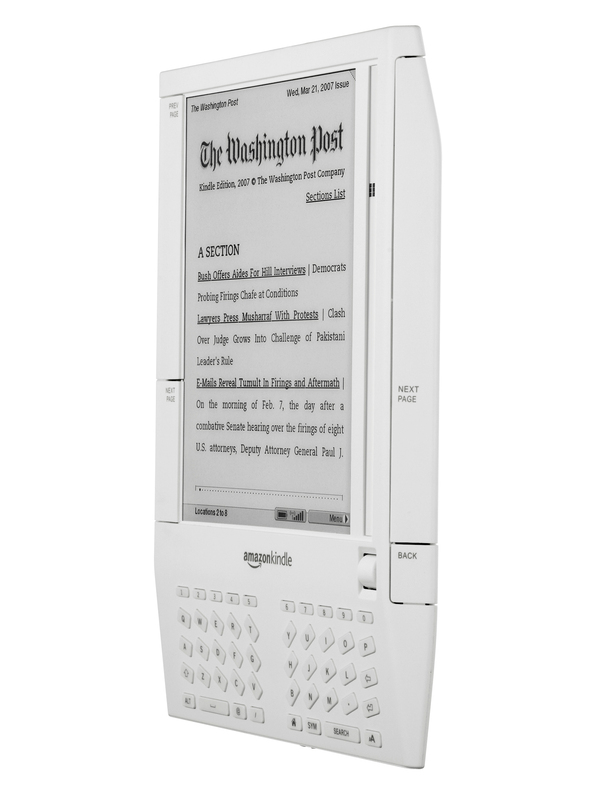 For more on the Kindle, and less snarkiness, see "Amazon's Kindle." This entry was posted in Uncategorized and tagged amazon, bezos, e-book, kindle, quain. Bookmark the permalink.